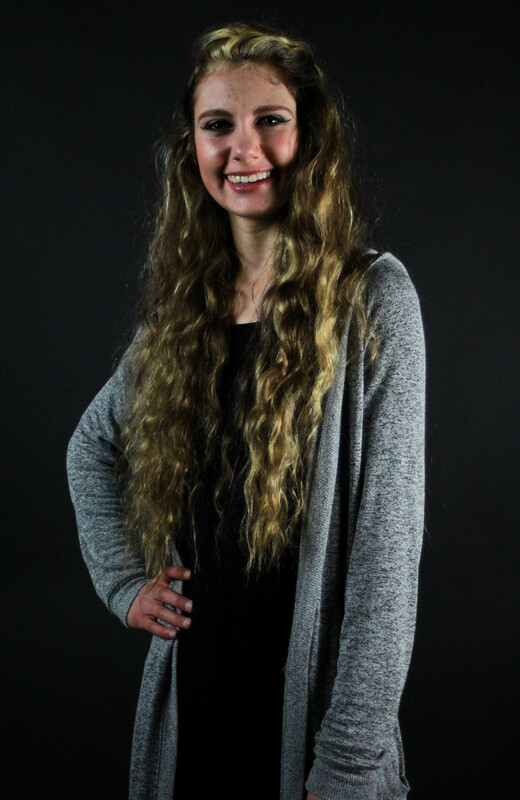 This is a guest post from Lizzie Zink, a rising senior at BCMN site Fort Hayes Metropolitan Education Center in Columbus, Ohio. The Paragon, Vol. 1: Someday We’ll All Be Free is a compilation album created by the students at the Fort Hayes Metropolitan Education Center. The Paragon, Vol. 1: Someday We’ll All Be Free album tackles many of the controversial topics that are at the forefront of our national discourse. Issues such as racial stereotypes, depression, youth violence, suicide, police brutality and identity are discussed through the musical journey this project takes you on. The ideas expressed in these songs are an accurate representation of the challenges that many youth around the country face on a daily basis. It was our goal to address these songs artistically in a variety of genres. Hip-Hop, Singer Songwriter, Spoken word, Reggae, and Neo Soul are all represented on the project. The musical pieces represented on the album are mix of self composed works and covers. The pieces assembled were chosen by the students to create a comprehensive narrative that emotionally take the listener into their world in a way that very few think pieces or media reports can. In fact, we often refer to the project as an audio publication or soundtrack to our life’s movie because the relevance of the songs carry an authenticity that traditional descriptions don’t capture. The album features covers of artists such as Gil Scott Heron, Birdy, Nina Simone, and Donny Hathaway, along with many brilliant originals. The depth of the lyrics written by my peers provides clarity of the situations that we struggle with and their articulation of a circumstance and the feeling is truly inspiring. The students featured on this album are some of Fort Hayes’ best and brightest musicians and have a desire to use their gift to express the need for awareness and action in society today. Fixing society’s flaws is no easy task, but if we raise our voices together as one, we will be heard. Throughout the creation of this project, we constantly reminded ourselves that every individual has a voice and because of that we are confident that our voices will be heard amongst the noise. In short, the ideas expressed within the album are presented by students to students and to those struggling to overcome obstacles or those watching someone struggle… which ultimately includes everyone. These are universal messages that can provide assurance that a person is not alone in their suffering and that there is indeed hope in our world. We created The Paragon to inspire hope, inspire dialogue and spark a fire to change the world. We lifted our voices, and now it’s the time for them to be heard so that everybody knows that the revolution is starting. “The revolution will not be televised… The revolution will be live”, says WaTeasa Freeman in “The Revolution”. This revolution starts with us, and we extend our hand for you to join us in order to ensure that Someday We’ll All Be Free. The Paragon, Vol. 1: Someday We’ll All Be Free Interview playlist. 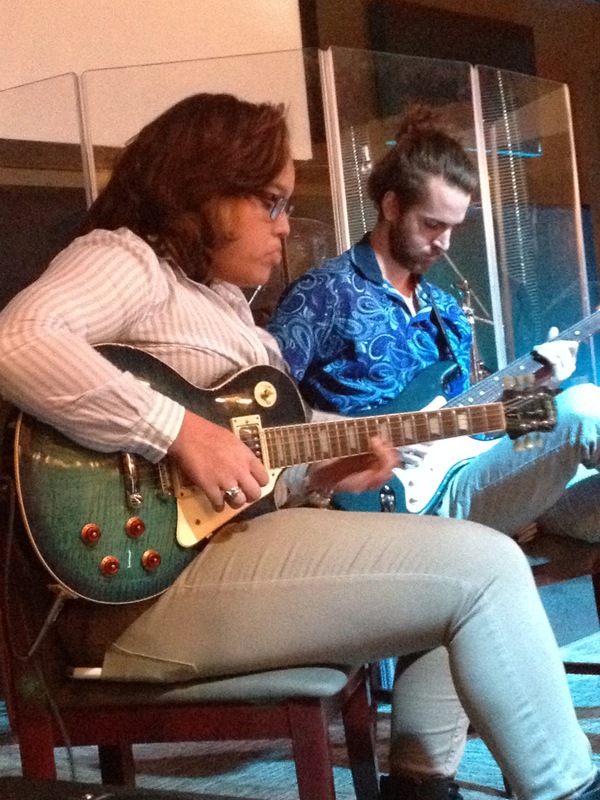 Grace Mann is a City Music Scholar from Boston, MA, and is currently studying at Berklee College of Music. Bright and early on Friday, July 31, a group of Boston students attending the Berklee Five-Week Summer Performance Program on City Music Summer Scholarships headed to the Newport Jazz Festival on a little yellow school bus. This amazing opportunity was only possible because of the generosity and kindness of JazzBoston, Natixis Global Asset Management, and Newport Festivals Foundation. The students in attendance were bubbling with excitement to have the chance to see some of their idols perform and could not be more grateful to both organizations for giving them this opportunity. On our way to the festival we heard from Dr. Leonard Brown, who was invited by JazzBoston to speak to us. Dr. Brown is a professional musician and recently retired as an associate professor at Northeastern University in Boston. Dr. Brown reminded us of the history that surrounds the jazz festival. He discussed how Newport, which began in 1954, witnessed the Civil Rights Movement and mentioned that, “even with existing social pressures, the festival continued.” It was interesting to hear about how the music at Newport withstood the heavy social storms of America since its establishment. 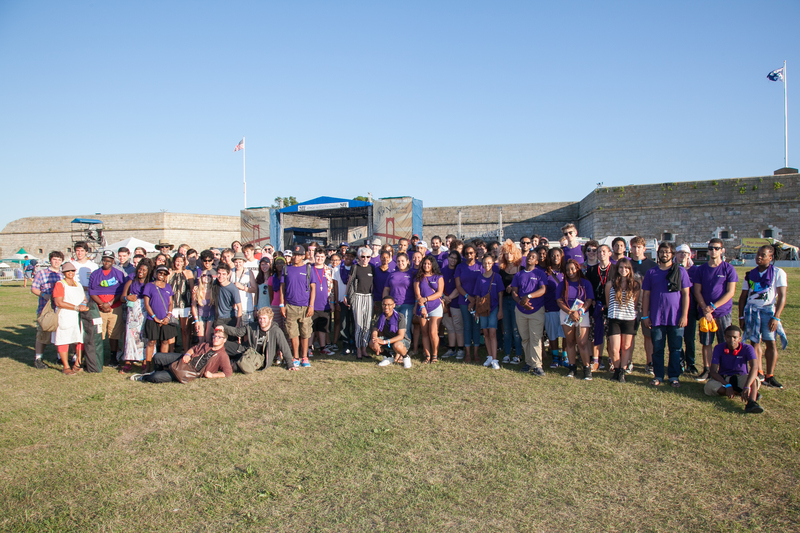 The students started their day at Newport with a presentation from Dr. Wes, founder of the Jazz and Democracy Project, that was arranged by Natixis. He encouraged the students to talk about what’s it’s like when they’re “in the moment” or “in the zone” on stage. One student related his experience on stage to how he feels when he’s driving a car. On the road he feels free, but at the same time he is aware of the other drivers around him, just as he’s aware of the other band members during a performance. After the workshop everyone was allowed to roam free! Most students were looking forward to Snarky Puppy who was the last band of the day. Joshua Sutherland, a student from City Music Boston, said his favorite part of the festival was seeing Corey Henry perform, stating, “I would have been upset for the rest of the year if he didn’t perform.” The Christian McBride Trio was another highlight from the festival. Many students sat in the front row mesmerized by his amazing performance. The energy and spirit of the trio was captivating. Overall the day at Newport was a success. By the time the wheels on the bus starting rolling us back to Boston, almost everyone was drifting to sleep in their seats, exhausted from such a full day of inspiration and excitement at the festival. This is post #3 in the guest series by BCMN Registrar Andrew Sammut after his visit to 4 BCMN sites this spring. Arin and Andrew’s third stop on their southeastern trip took them to Woodlawn Musical Arts, Entertainment and Industry Program of Birmingham, AL. 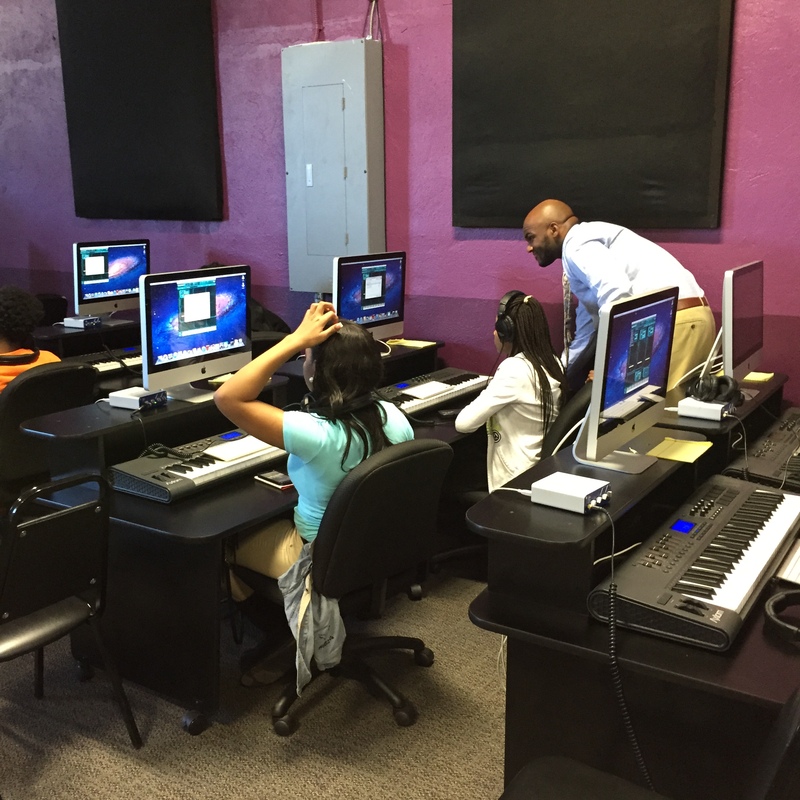 Conducted by state-of-the-art local recording studio Audiostate 55, Woodlawn provides a music technology course to students from local schools, a summer music camp that serves over two hundred students and opportunities to perform at local community events. When we arrived, Dr. Henry Panion, President at Audiostate 55, explained some of the projects he is working on with students at the local public schools including music videos to celebrate several local and national events. We then had an opportunity to observe one of the music technology courses that Woodlawn provides as an elective for students at a nearby high school. These students use PULSE in conjunction with other software to learn the basics of sound production and recording technology. 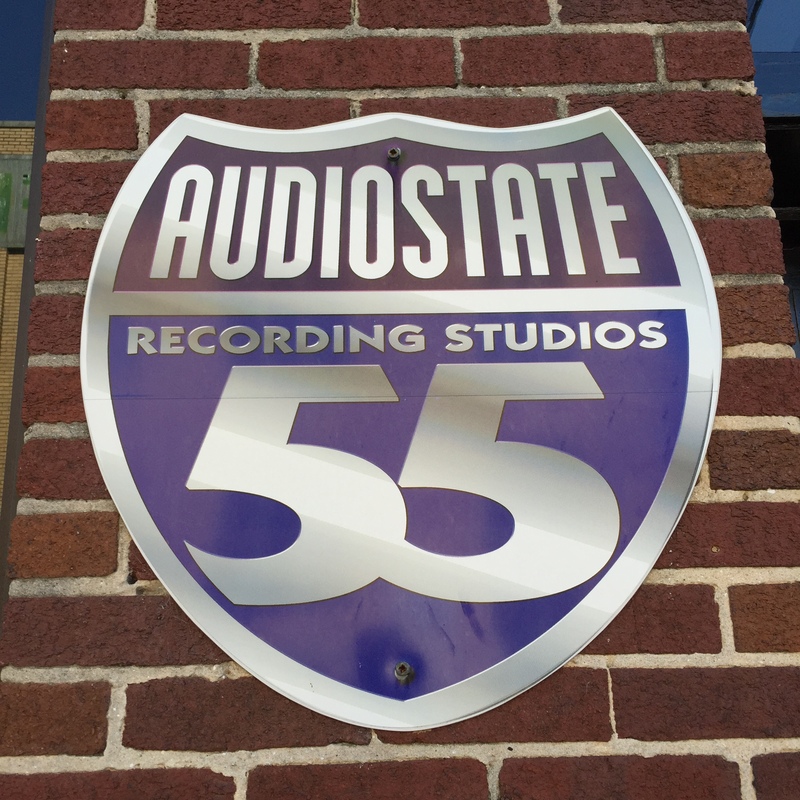 We also got to meet members of the school faculty as well as the recording and business staff at Audiostate 55. The support of these teachers, philanthropic partners, engineers and administrators allows Woodlawn Musical Arts, Entertainment and Industry Program to provide greater opportunities, musically as well as academically, to students in the Birmingham community. With its deep roots in the community and roads to Berklee College and beyond, City Music is proud to partner with this grassroots, globally minded organization. This post is #2 in a guest series by BCMN Registrar Andrew Sammut from his visit to 4 BCMN Sites this spring. Arin and Andrew continued their tour of BCMN’s southeastern region at Community Music School of Raleigh. NC. Founded over twenty years ago at around the same time as City Music, CMS provides private lessons at virtually no cost to students in elementary school all the way up through high school. Beginning musicians receive introductory instruction in music reading and advanced students have the opportunity to play in CMS ensembles and perform at local community events, including through partnerships with local symphony orchestras. Our day at CMS began with meeting acting interim executive director Debra DeCamillis, school operations manager Erin Zanders and PULSE coordinate Matt Douglas. Once again it was great to put faces to all of the names we were so used to emailing and calling over the phone! We also enjoyed the tour of CMS’s facilities, including the main building where students study everything from piano to ukulele and the community center next door, which CMS uses for performances while sharing it with other community organizations. We then broke for a lunch discussion of CMS’s history and programming (as well as the finer points of Carolina barbeque!). Matt shared some of his successes with PULSE in his Composition Workshop, and a common theme of eagerness to recruit more students, a desire to share the craft and confidence-building of music with even larger audiences, had already emerged on this trip. That was the perfect segue to head back to CMS and continue our discussion while students began filling the halls and rooms for their after-school instruction. We also got to observe a high school percussion ensemble, a piano student learning the harmonies and chord scales for John Legend’s “All Of Me” and a first grader practicing her solfège. We came back the next day to observe Matt’s Composition Workshop, which allows students of all ages to write original material. 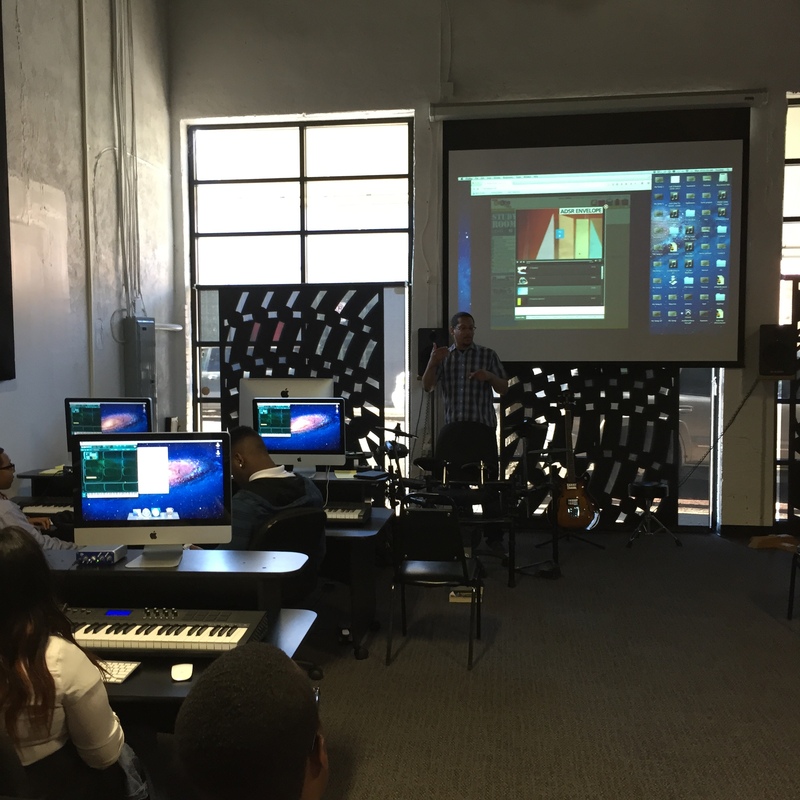 It was rewarding to see a teacher incorporate PULSE into his own curriculum, inspiring to see and hear his students using that City Music platform to channel their own creativity. This was yet another example of what makes our Network so strong and so important. We left looking forward to meeting other Network partners, learning more about their work and doing more to promote it. Berklee City Music staff members Arin Canbolat and Andrew Sammut recently returned from visiting four Berklee City Music Network sites, so we invite you to take an inside look at their trip in this four-part series by BCMN registrar Andrew Sammut. With a roster encompassing the continental United States, Puerto Rico and Canada, site visits are a welcome opportunity for City Music staff to skip the smartphone and speak directly with the people who make the Network possible. Last week Arin and Andrew were fortunate to tour City Music’s southeastern region, beginning with 2xSalt Ministry in Charlotte, NC. Founded in 2003, 2xSalt brings together youth through community gatherings, athletic programming and of course music education. Our visit began with a warm welcome from 2xSalt board member Alan Barnes, who took us on a tour of 2xSalt’s main facilities. In addition to its full size basketball court, community cafeteria, Thrift Shoppe and mechanical engineering lab, 2xSalt offers music students the opportunity to record in their own studio, study PULSE in a computer lab and jam in a beautiful, welcoming performance space. 2xSalt joined City Music shortly after adding music to its broad range of programs in 2012. It has been both rewarding and informative to observe the growth of this site’s musical resources and more importantly its student base. After music instructor Eric Brice joined us, we drove to some of the nearby schools attended by 2xSalt students. We listened in on a jazz band jamming over “Footprints,” smiled at the sight of three trumpeters and a sousaphonist using their lunch period to practice, and talked with another student who just completed their audition for the City Music Summer Scholarship. We also met some of the local band directors who support 2xSalt. President and founder Bart Kofoed and 2xSalt music teacher Randy Johnson then joined us for lunch, sharing their experiences and hopes for West Charlotte’s students. With music programming in many schools reduced or cut from the curriculum, Alan and Eric emphasized their eagerness to bring in more students and allow them the opportunity to learn music. As students began arriving back at 2xSalt stage to begin playing after school, the importance as well as sheer joy of that mission was palpable. From a swinging blues jam through Freddie Hubbard’s famously difficult “Red Clay” to a very Herbie Hancock-esque original composition by one of the 2xSalt students, it was clear that these young musicians not only enjoy playing but that music animates and empowers them. The opportunity to meet and talk with those students as well as their teachers, parents and the dedicated leadership at 2xSalt was a great beginning for this trip! Robert Gould is a City Music Scholar from Little Five Points Music Center in Atlanta, GA, and is currently studying at Berklee College of Music. 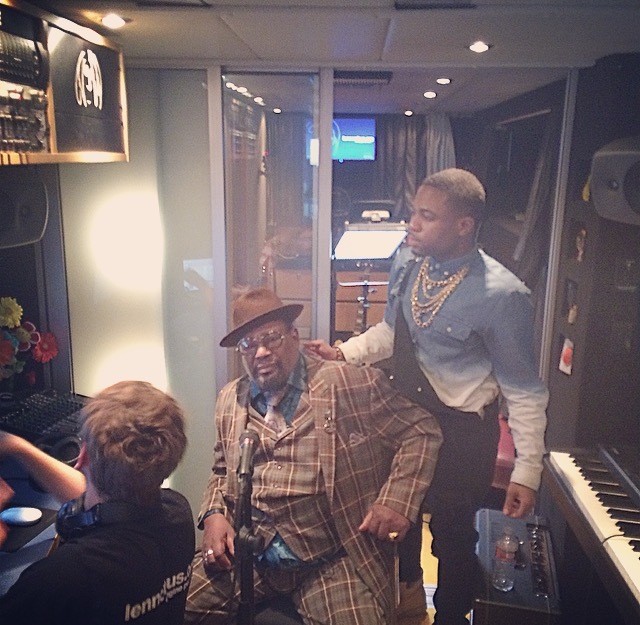 The opportunity to perform and receive hands on mentorship by George Clinton, Moby, and the John Lennon Educational Tour Bus crew was an amazing experience to say the least. George Clinton at the forefront of creativity and individuality as a musician mixed with the high level technological advancements and concepts the John Lennon Bus and Moby bought to the experience made this opportunity a life changing musical adventure I will never forget. The ability to be surrounded by music in all directions in the atmosphere set by the NAMM Conference in California made this musical encounter a surreal moment. As musicians and contemporary music students at Berklee College Of Music, we often are searching for innovation and desiring to be at the helm of what will mold and set a new dawn of music for our generation to enjoy. This opportunity yielded to me by Berklee City Music allowed me to see that in order to be innovative in this era we must seek for the foundations laid by George Clinton, Moby, and John Lennon who were and are all men who faced music with fearless tenacity and zeal. Creativity and technology are at the forefront of this new dawn of the entertainment industry we are entering into. This purpose driven experience connecting education, recording, and technology has exposed my mind, enriched my soul, and fueled my determination for success through my artistry. I am so honored to be an ambassador for the Berklee City Music Program. 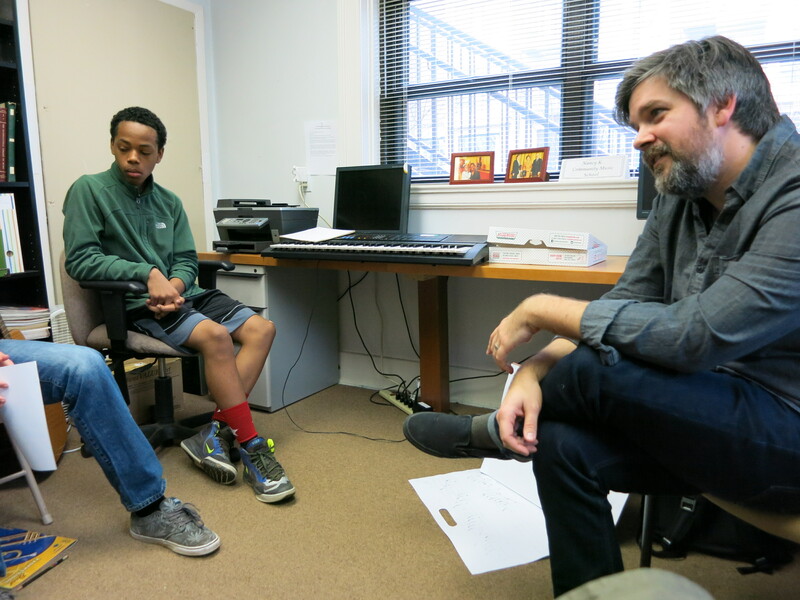 We recently sat down with Jordan Summers, the Music Mentoring and Youth Development Coordinator for Berklee City Music Boston, to get some tips on how to foster successful mentor/mentee relationships in a program that consists of about 80 participants in the Boston area. Mentors are Berklee students and mentees consist of local middle school and high school-aged youth from underserved areas that have auditioned for City Music programs. 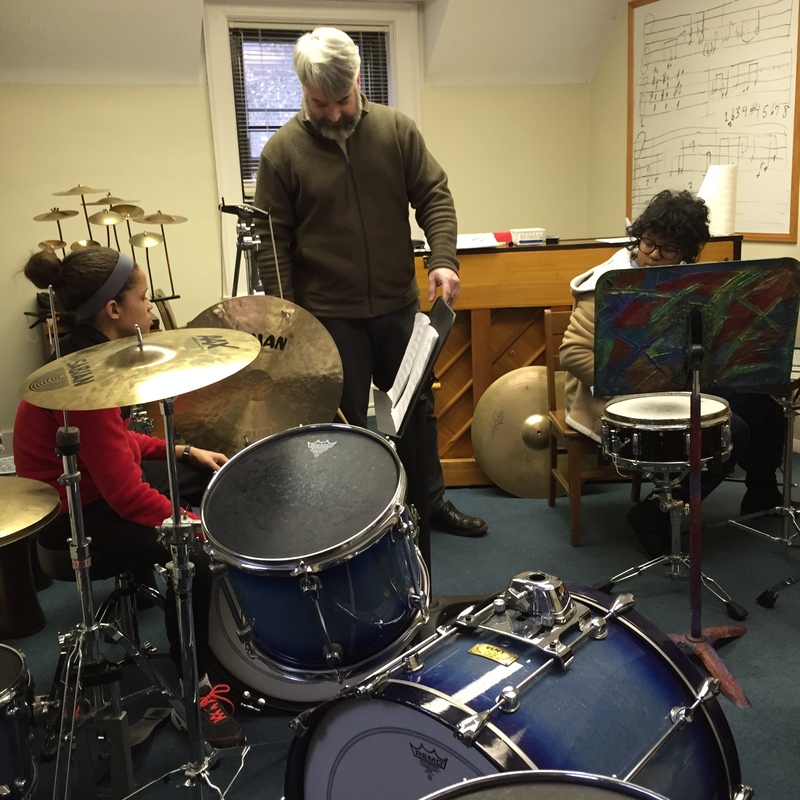 The program provides mentees with 3.5 hours of instruction per week that includes a one-on-one music coaching, theory class, and ensemble rehearsal. http://www.mentoring.org: Mentoring program that develops quality resources to advance mentoring program effectiveness and innovation, while sharing knowledge among mentoring programs, and works to drive increased investment to sustain and grow mentoring programs nationwide. http://www.massmentors.org: Mass Mentoring Partnership (MMP) helps to fuel the movement to expand empowering youth-adult relationships to meet the needs of communities across Massachusetts. http://www.nationalmentoringmonth.org: Focuses national attention on the need for mentors, and how businesses, government agencies, schools, faith communities and nonprofits can work together to increase the number of mentors to assure positive outcomes for young people. “Always be looking for mentors!” Jordan advises. Because City Music mentors are usually full-time Berklee College of Music students, Jordan is sure to have a “back up for the back up”. She sources her mentors from general interest meetings that she advertises through the college, referrals from Berklee faculty and staff, a recruiting table that she sets-up at college events, and through informational materials she places around campus. Jordan also leverages the program’s many success stories to encourage students to sign-up. Show Value: Jordan knows that Berklee students are more likely to sign-up as mentors if she can show them the value of being a mentor goes beyond spending time with a kid in need of music instruction and someone to hang out with after school. Jordan said that her mentors oftentimes tell her that they have become more aware of their own learning style through the applied teaching of their mentee. Following graduation from Berklee, several of her City Music mentors have requested and received recommendation letters and connections with industry professionals throughout the Berklee City Music National Network. For the mentor’s first contact with their mentee, Jordan provides them with a “first call” template/script to make communication effective and easy. She also put together a handbook for mentors that contains best practices and acts as a trouble-shooting guide to get the relationship off to a great start. Jordan plans at least one non-music activity per month and told us that “pizza always works!” She highlighted the importance of taking the mentors and mentees out of the context of a demanding learning environment. Click here for more information on the City Music Mentoring Program. Dixon Hall Music in Toronto, Canada is the 49th Berklee City Music Network member. Dixon Hall Music School provides low-cost private lessons on 15 different instruments, group and ensemble classes, seasonal music camps, and affordable instrument rentals for over 300 students ages 3-19 in the surrounding community of Regent Park, Moss Park, and St. Lawrence Neighborhoods in Toronto. In operation since 1978, the school has a dedicated facility in the heart of the Garden District and has a robust community standing, providing students ample performance opportunities and exposure to local arts performances through a free concert ticket program. Please join us in welcoming the 48th site the Berklee City Music Network, The Motivational Edge in Miami, Florida. The Motivational Edge utilizes culturally relevant arts as a motivational platform to inspire youth towards academic achievement, increased self-confidence and the building of essential life skills. Their programs include art, dance, literacy, homework assistance and music. 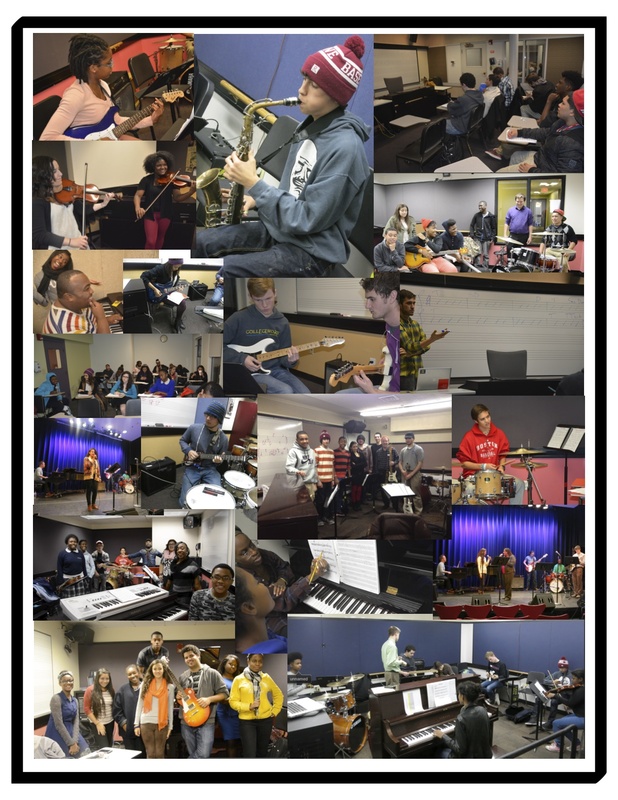 Within the music program they offer a DJ program, music production, and private instrument instruction. Click here to learn more about their music programs. Checkout out their SoundCloud playlist below to hear their students’ work.